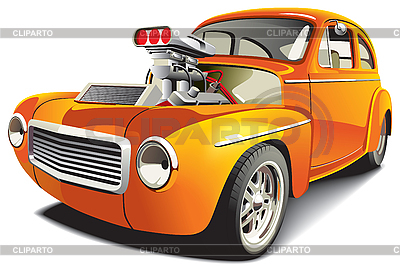 Vectorial image of orange drag car, isolated on white background. File contains gradients, blends and mesh. No strokes.